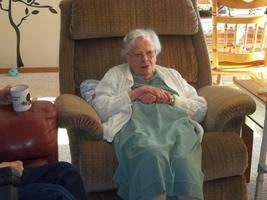 Provide comfort for the family of Olive Fowler with a meaningful gesture of sympathy. Olive Maxine Fowler, a lifelong citizen of Putnam County, passed away on March 18th, 2019 at age 90. 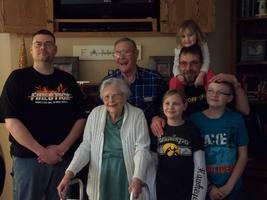 She is survived by her husband, Leon Fowler; sons, Michael Fowler, and wife Jill of Brookfield, Mo, Matthew Fowler of Monroe, IA; three grandchildren, Hunter, Stella, and Kaydee. She is preceded in death by her parents, Virgil Mullins and Violet Shelton; sister Opal Lewis; daughter, Deborah Fuller and granddaughter, Abby. Maxine was born on September 22nd, 1928 to father Virgil Mullins and mother Violet Shelton. She was raised on a small farm located in Hartford, and she’s spent her whole life in Putnam County, where she became a teacher and a wonderful homemaker. Maxine was an active member of Mendota Church, and was known to enjoy gardening, baking homemade bread and fresh donuts, and her love to travel in their R.V. 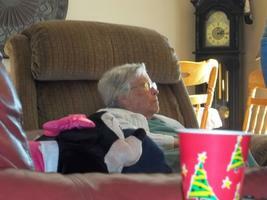 A few of her favorite things in life consisted of homemade ice cream, and her grandchildren. Olive will be deeply missed by all who knew her. A visitation service is scheduled for 9:00 am on Saturday, the 23rd of March at the Hartford Baptist Church in Hartford, MO. A service is scheduled to follow the visitation at 10:00 am. with final internment being held at Shipley Cemetery. Arrangements are under the direction of A Simplified Funeral Solution. To send flowers in memory of Olive Maxine Fowler, please visit our Heartfelt Sympathies Store. 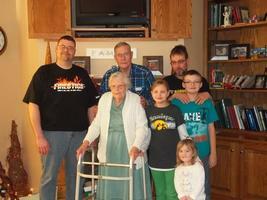 Provide comfort for the family of Olive Maxine Fowler by sending flowers.